On an entity level, many corporations may want to transfer out of their current state of incorporation to avoid additional annual fees. For those wanting out you can “Continue” your state Corporation into Wyoming (Others, knowing Nevada is the only state with charging order protection for corporate shares, may want to stay put. CONTACT US TODAY FOR YOUR FREE RISK ASSESSMENT to see if continuation is an option for your entity.) You keep the same incorporation date, same EIN and same business credit when you continue into Wyoming. 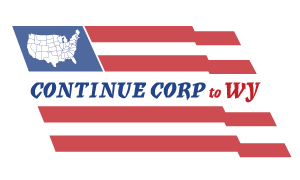 Your Corporation formed in 1995 becomes a Wyoming corporation formed in 1995. The total cost of continuance (both legal and state filing fees) is $895. Then your annual fees drop to just $250 a year. Name of Corporation that you would like to continue into Wyoming.